Every two years, the Wisconsin Worker’s Compensation Advisory Council (WCAC) negotiates a bill that goes off to the legislature for consideration. The WCAC, made up of 5 representatives from management and 5 representatives from labor, tries to come to agreement on a bill that makes modifications to the Worker’s Compensation Act. It has a long standing history in our State, with each side attempting to get changes that benefit those they represent. Fee Schedule: Both sides have agreed that there is a need for a fee schedule as a way to better control medical expenses. We are one of the few States in the country that has no fee schedule. As a result, it’s not uncommon for a work related medical procedure to cost two to three times more than the same procedure that is non-work related. The challenge here is that the fee schedule has not yet been developed and it is supposed to be based on negotiated health insurance rates. Networks are very protective of the rates that they have negotiated with providers. I see that as an obstacle. The other component of this proposal is that any savings realized from the fee schedule are to be shared with injured workers. Call me a pessimist, but I will be surprised if this ends up looking anything like what the management representatives envisioned. Permanent Partial Disability: Permanent Partial Disability rates will increase substantially over the next two years. The current rate is $362. That will increase to $382 in 2018 and $407 in 2019. Those are some hefty benefit increases at 5.5% and 6.5% respectively. How do those percentage increases compare to your budget for merit increases? Injury Multiplier: This provision could prove to be quite expensive for businesses. This will allow an additional 15% in benefits to workers with scheduled injuries who are not able to come back to work within 85% of their pre-injury wage. This is a benefit that did not exist in the past. It appears as though the management representatives gave some big increases in indemnity benefits in hopes that savings from a fee schedule will offset those increases. Time will tell. There are several other proposals as part of this agreed bill that will impact the premiums moving forward including supplemental benefits, loss of hearing and treatment of opioids. For a full list of changes, click here. Please feel free to reach out to me if you would like to better understand how these changes could impact your worker’s compensation premiums. It’s not something that most people think about, but just like your business, NFL teams also have to purchase worker’s compensation insurance for their employees. And just like the benefits that are afforded your employees, football players are covered for lost wages, medical treatment, loss of earnings, etc. 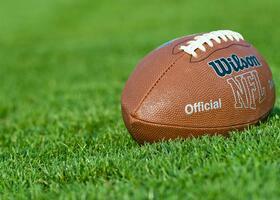 No doubt that the medical treatment for an injured NFL player could get to be quite expensive. But the concept of paying loss of earnings to a player beyond their normal playing years doesn’t seem to be sitting well with the owners of the Chicago Bears. Click here for the article with additional information. Benefits in Wisconsin are actually much richer. An employee injured in Wisconsin could continue to collect similar benefits for a lifetime, regardless of when they might have retired. We will see how this all shakes out and whether or not it will have an impact on Chicago’s ability to sign players in the future. Contact me with any questions about your Workers Compensation, and Go Pack in 2017! Its hard to believe that 2016 has come and gone. W ith another year in the books, we took a look back at the top 5 most popular R&R articles of last year. We hope you have a happy, healthy new year and look forward to serving you throughout 2017! Follow the links below to view these articles. The Wisconsin Compensation Rating Bureau is now requiring a mandatory audit noncompliance charge (ANC). Effective January 1, 2017 any insured who does not comply with a workers compensation audit will be billed an additional two times the estimated workers compensation premium. The intent of the charge is to provide uniformity in assessing a penalty. It is also an incentive for insureds to cooperate with the premium audit as required by the policy contract. Improved compliance with the audit process will lead to increased accuracy, as well as ensure rate accuracy and sufficiency. The ANC is not a premium surcharge. It is premium and is subject to premium tax. The ANC endorsement is not optional and is mandatory on all Wisconsin workers compensation insurance policies. The ANC endorsement will be treated the same as the WI Law Endorsement and the WI Cancellation and Non-renewal endorsement. There are no changes to the Wisconsin cancellation rate. Current term policies cannot be cancelled for nonpayment of the audit bill. While compliance with the work comp audit has always been important, 2017 will prove to be more important than ever. For additional information on the ANC, contact a Knowledge Broker at R&R Insurance. Wearable devices are becoming increasingly common in the workplace. While certain organizations have been using these tracking devices to promote healthy habits among their employers, the discussion surrounding identifying potential injuries and reducing the frequency of workers comp claims is growing. Business Insurance recently released an article describing the benefits of using wearable devices to promote safety in the workplace. From tracking vital signs and simplifying processes, to facilitating communication and promoting safety, these devices are being used to mitigate occupational injuries and deaths. "This is something that is emerging and is real, and insurers are seeing there will potential benefits," the article states. "Sources expect to see a widespread adoption of wearable devices in the next two years." 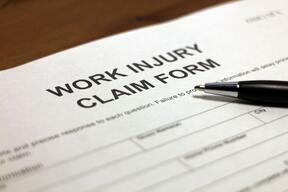 To learn more about how to mitigate your risk and reduce the frequency of work comp claims, contact Bill Katzfey. Henry Ford once said “chop your own wood and it will warm you twice.” I’m here to tell you now’s the time to evaluate your pre-loss and post loss workers compensation strategies and it will warm you even more. The standing committees in both the Wisconsin Assembly and Senate have recently approved the 2015-2016 Workers Compensation Advisory Council agreed-bill. With the 23 provisions contained in the agreed-bill, employers should be prepared to maximize the impact of those changes to better control their workers compensation costs. Here’s a brief summary of those items. And here is a complete list summary of the changes. Statute of Limitations: The statute of limitations, the time that an injured worker has to come back after an employer for an alleged work related injury, will move from 12 years (longest in the country) to 6 years, but only for traumatic injuries. Occupational/repetitive type injuries, those that take place over time, will still have a 12 year statute of limitation. Strategy: It will be even more important for you as an employer to fully investigate alleged injuries and document relevant facts. A strong accident investigation process, along with the use of a body-diagram tool, will go a long way towards defending those cases that move from an allegation that the injury was traumatic to now it’s an occupation injury simply to double the statute of limitations. Now is the time to evaluate your accident investigation process and tools. Permanent Partial Disability Rates to Increase: The rates used to determine permanent partial (PPD) disability will increase by over 5.5% over each of the next two years. That may not seem like a big number, but it’s estimated that these PPD increases alone will have an impact on your worker’s compensation rates over the next two years. Strategy: It’s time to take a fresh look at your pre-loss strategies. What are you doing to prevent serious injuries from taking place in your operation? Have you gotten complacent? When is the last time you had someone come through to perform an evaluation of your processes and procedures? Now is the time to evaluate your pre-loss strategies. Apportionment of Permanent Partial Disability: Physicians who prepare a report on permanent disability will now be allowed to differentiate between the issues of permanent disability caused by the direct result of a work related injury versus disability that was pre-existing. 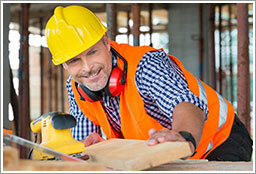 In other words, if you have an employee with a pre-existing disability and they get an additional disability as a result of the work injury, you should only be responsible for the disability caused by your work related injury. Strategy: It may be time to re-evaluate the concept of requiring a post-offer physical. Documentation of existing permanent disabilities or physical impairments may have an impact on the cost of future worker’s compensation claims. 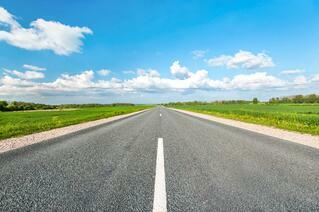 Now is the time to complete a cost-benefit analysis on a implementing a post-offer physical. Termination for Misconduct: Once an employee is released to light duty and they are suspended or terminated due to misconduct, temporary disability can now be denied. Strategy: It’s time to take a look at your human resource policies & procedures to be sure that you have an appropriate disciplinary process documented and that you are following it consistently. Expect a lot of litigation regarding this provision. When’s the last time you blew the dust off that employee handbook to be sure it’s up-to-snuff? Liability for Injuries Related to Drugs & Alcohol: In theory, this provision will bar recovery of indemnity benefits when an employee violates your drug and/or alcohol policy and where there is a direct causation between violation of the policy and the workplace injury. In reality, there are applicant attorneys who are already covering the circuit stating that there is a flaw with this provision and it will not do what it was intended to do. Snookered again, but time will tell. 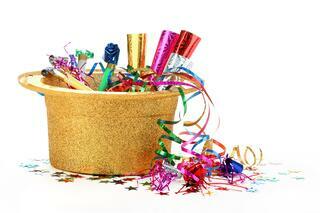 Strategy: When is the last time you evaluated your drug and alcohol policy? Do you have a drug and alcohol policy? Is it documented and consistently followed? Now is the time either to implement a policy if you don’t have one or re-evaluate what you have in place. As an employer, you now have the benefit of some employer-friendly changes in the Wisconsin Workers Compensation Act. If you are looking at optimizing the potential impact on your organization, contact me for additional information. Let me help you evaluate whether or not you are positioned to take advantage of these changes. 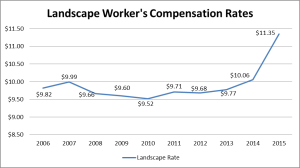 Over the past 9 years or so, worker’s compensation rates for Wisconsin landscapers have remained relatively flat. Business owners have benefited from predictability in costs for their most expensive line of casualty insurance. With the new rates effective for 10/1/15 – 9/30/16, owners should be prepared for an invasion on their bottom line similar to the effect the Emerald ash borer has had on unprotected ash trees. With rates averaging about $9.72 for every $100 of landscape payroll from 2006 – 2013, the industry saw a 3% rate increase in 2014. This year, with a new rate of $11.35, you are facing a 12.8% increase compared to last year. Unfortunately, you have no control over the landscape rate that is calculated by the Wisconsin Compensation Rating Bureau. You do, however, have control over many other aspects of your business that will have a direct impact on what you pay for your worker’s compensation insurance. But like every great landscaping project, it requires a vision and a plan. Do you have a plan in place to prepare yourself for substantial worker’s comp premium increases next year? 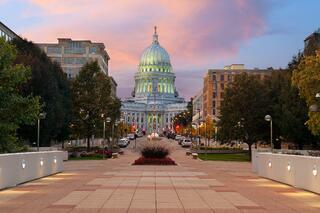 The workers compensation act in Wisconsin changes every two years through an “advisory council” process. The Worker’s Compensation Advisory Council, made up of five management representatives and five labor representatives, is charged with exchanging proposals and negotiating an agreed bill that goes off to the legislature for consideration. Typically, this agreed bill makes it through the legislature without much friction. But that's not always the case. Rate Increases and Indexing: Labor is looking for sizable increases in payments made for injuries that involve permanent partial and permanent total disability. Continuation of Healthcare Contributions: For those employers who offer health insurance, labor is looking to require that you continue to make those employer contributions to the health plan for as long as the injured worker is in that disability state. That would be for an unlimited time and it would be regardless of whether you had terminated the employee for cause or they quit for any reason. Vocational Rehabilitation Exceptional: This would allow employees who are being retrained as a result of a workplace injury to collect full indemnity benefits while in school AND collect wages at another employer for up to 20 hours without an offset of indemnity benefits. Statute of Limitations Reduction: Currently, an employee has 12 years to pursue a worker’s compensation claim against their employer. Management is looking to reduce that to 3 years. Eliminate Statutory Permanent Partial Disability Ratings: Currently, there are certain surgical procedures that result in permanency ratings that automatically start at a minimum level, regardless of the outcome of the procedure. With advancements in medical procedures and technology, the management representatives would like to see these minimums removed. Controls on RX’s Dispensed at a Doctor’s Office: Some doctors are dispensing prescriptions to injured workers at their offices and charging insurance carriers 3-4 times the cost of the drugs. Management is asking to implement some controls on the cost and length of time a physician can dispense meds from their office. Medical Cost Containment: Most states in the U.S. have instituted aggressive cost containment measures to better control the cost of treatment for work related injuries. Wisconsin lacks that type of control and the cost of medical treatment is sometimes 2-3 times more expensive for work related procedures as compared to those covered under a health plan. Management is also asking for the ability to direct where an injured worker can get treated. No doubt that many of these proposals, if they become part of a bill that gets passed by the legislature, will have an impact on the cost of your insurance going forward. For additional insight on how any of these might impact the cost of your worker’s compensation insurance, please contact me.